A Jupiter archetype is easily seen in the Andrew Jackson horoscope. He was born on the astronomic opposition of Jupiter where Jupiter and the Sun occupied opposite sections of the celestial sphere. If one were floating above the Sun and the orbiting planets, north of the ecliptic, one would see the Earth, and Sun and Moon and Jupiter lined up in a straight line. Andrew Jackson, the 7th President of the United States, was born with a dominating, powerful Jupiter. Jackson was born five days before the Vernal Equinox on March 15,1767, in Waxhaw N.C. His father died about the time he was born. His mother (note the natal Jupiter/Moon conjunction) brought him up, and was the prime influence in his early years. One could say that his mother gave her life to save his. When Andrew was a boy, he went off to fight in the American Revolutionary War. He was taken prisoner, and became ill in the British prison camp. Andrew’s mother learned about this and set off to help him. When she got to the camp, she talked to the commandant and secured her son’s release. The stress of the journey caused her to become ill, and she died within a few months. All his life Andrew Jackson worshiped his mother. If, astronomically, one plots a chart (see diagram below) showing where the Sun and Moon and Earth and planets are in the solar system, when a person is born, a kind of pattern will stand out. I call this a signature. 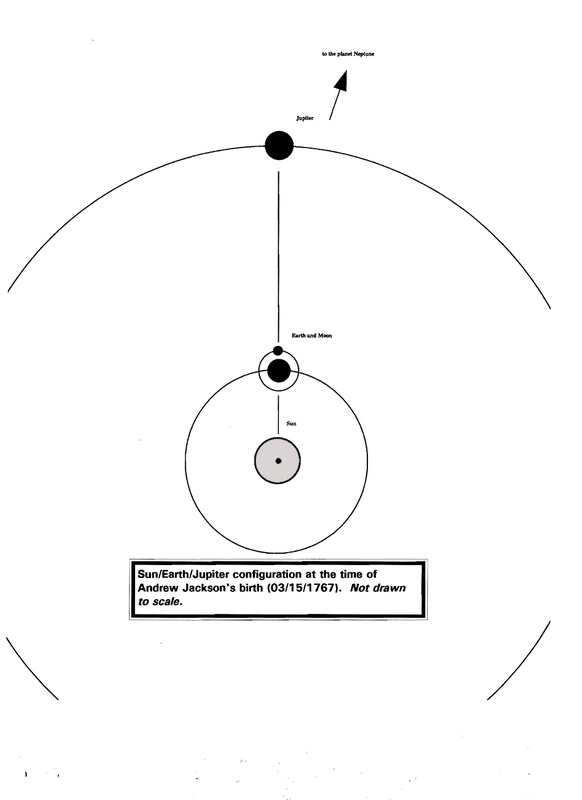 A side view of the Sun/Earth/Jupiter astronomical opposition, when Jupiter is closest to the Earth. The Duke of Wellington, J. S. Bach, and Andrew Jackson had this configuration (the Jupiter opposition, not the lunar patterns) at birth. This diagram is not drawn to scale. The opposition of Sun Jupiter occurred about six days previous to Jackson’s birth. It was still within a ten degree orb at his birth, and Jupiter, in its retrograde phase, was very close to the Earth. That the opposition occurred around the time of the Vernal Equinox, makes this configuration even more powerful. Other major aspects occur in the chart—the Full Moon phase, the inconjuncts and squares—but I would judge that the signature of the chart lies in the Jupiter opposition. We may not have his exact birth time (let’s keep assuming that rectification will just not work), but we do have that Jupiter/Sun/Earth line-up. Jupiter was the dominant, ruling planet in the life of Andrew Jackson. Andrew Jackson Chart. Click for larger. Note: Rodden Rating is DD. I think it is better than that, but am still researching. Note that we are using a 7:35 am chart, but only for convenience, as we do not have the exact time of his birth. He sure looks like an Aries rising, and all his pictures show him as rough and ready, warrior-like, but it is not enough. That Pluto in Capricorn in the midheaven Gauquelin zone, if it is there, would indicate that he would achieve great fame, be known by every one in his era and for years afterwards, that he might even destroy the prevalent power structures of an elite that had outlived its time. Still not enough. Sorry. Still too much of making your facts fit your bias. So we will not be using houses in this essay. 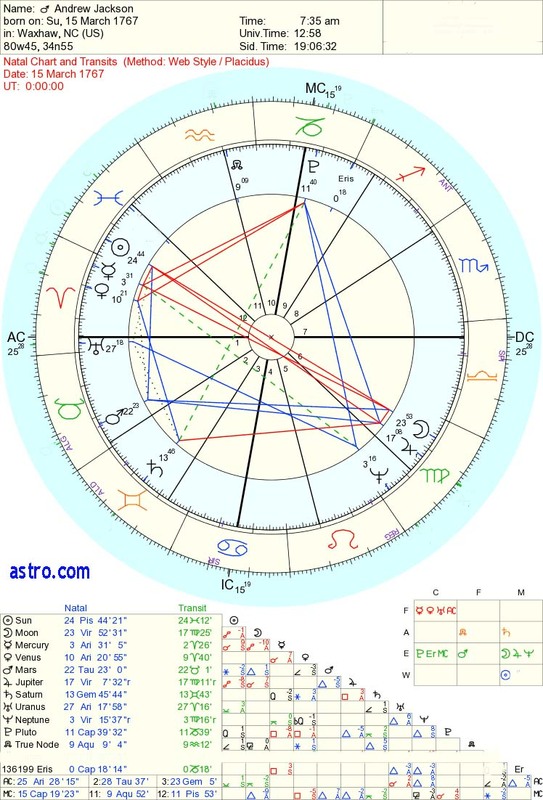 Andrew Jackson was one of the luckiest men who ever lived (the Jupiter influence); he fought thirty-nine duels (Pluto partile square his natal Venus, and Eris square Mercury). Though wounded a few times, he won most of his fights and managed to survive his wounds. When he was very young, his mother, as a poor relation, went to live on a plantation in North Carolina. There he was raised as one of the lords of the manor. He attended college to study the law. His first job was as a circuit riding judge. Before he was twenty-nine years old, he had served as a Justice of the State Supreme Court of Tennessee. He served for a while as a U.S. Senator, which required a long-distance journey that took six weeks by horse or carriage. This experience in Congress taught him a lot about politics. He was a gambler, and often staked thousands of dollars on the turn of a card, or on the fleet foot of a horse. At certain periods in his life all his time was taken up in the breeding of race horses and racing them. He won thousands of dollars in horse racing. If inflation is accounted for, that figure today would amount to millions of dollars. War was his first love. As a young boy, he fought fiercely in the Revolutionary War until his capture. Ordered to clean the boots of a British officer, Jackson, as a prisoner of war, refused this service. The officer raised his sword and aimed a violent blow at the fourteen year old boy. He deflected the blow with his hand, but the blade cut to the bone. After that incident, which scarred his hand for life, Jackson never had any love for the British. During the War of 1812, one of America’s great crises, the British had their way in every battle. Finally, they sacked and burned Washington D.C. Then they sailed their fleet South with a new army that had just been sent over from England. It was made up of contingents of Wellington’s army, the one that had defeated the French in Spain. Unfortunately for the British, it was not led by Wellington himself. The British fleet sailed up the Gulf of Mexico, past Mobile, Alabama, towards New Orleans, and landed a few miles outside the city. Jackson raised and organized his own army, and alerted by his spies in Mobile and up and down the coast, he was ready for the British when they invaded. His army fought the invader ferociously, keeping on a constant pressure of fire, behind well-constructed defenses, until the British army was forced to withdraw in defeat. During this battle, called the Battle of New Orleans (Jan. 8, 1815), bullets and shrapnel were flying around Jackson like the buzzing of angry hornets whose nest has been disturbed. He was never touched. He later told his friends that he always felt somehow “protected”. This was the only battle in the entire war in which the Americans completely defeated the British. All over America Jackson became an instant hero. The new people, the Aries type rough and ready pioneers, who opened up Tennessee, Ohio, Illinois, and the Territories, especially loved him. The General’s popularity was well deserved: He saved a deteriorating situation at a time when no one else could. During the following decade, his popularity grew. He was nominated for president, and almost won the first time. In 1824, Jackson found himself in competition with three other candidates, John Quincy Adams, Henry Clay, and William Crawford. Jackson had received a plurality of the votes for the Presidency, but not a clear majority. The election was thrown into the House of Representatives. This political body was governed by a past-its-prime entrenched elite. Some of its members were Federalists. For the most part they were a corrupt group of politicians who ran the Congress, appointed their out-of-office friends to bureaucratic sinecures, and constantly re-elected themselves to the Executive. A deal was made in this Congress, and John Quincy Adams was inaugurated as the sixth president. Jackson, always loving a fight, immediately proclaimed his candidacy for president in the next election. The 1824 election occurred during a Uranus/Neptune conjunction, often a time when entrenched political elites, through bumbling and corruption, can lose their power and privileges. In the next election, four years later, they were thrown out of office, and Jackson entered office with a whole new group of people, and a new power elite was born. To become an effective leader, it is necessary to have astrologic points that are in aspect, preferably conjunct, to the planets and luminaries that are in the chart of that state. Jackson’s Jupiter was at 17° Virgo. In the 1776 chart, nothing is located at 17 degrees; however, if you treat his Jupiter as a Jupiter Moon conjunction, then a conjunction applies to the U.S. Neptune, which is located at 22° of Virgo. Jackson captured the imagination of the American people: He was one of the most popular men of his century. His natal Pluto was 11°39΄ Capricorn was in a forming opposition to the Declaration Sun. Pluto rules war; it rules great amassing of wealth, like large banks do. His presidency would concern both of these. If one examines the Constitutional chart, one finds that Jackson’s powerful Jupiter is conjunct its 8th house Venus, and his Moon is conjunct its Sun. The Constitutional chart is accurate, so we can employ house systems. Note the 8th house emphasis: In the charts of governments, the 8th house (and Venus and Pluto) rules banking, esp. large banks that hold government deposits. The student of history must seek to determine the most powerful influences during any one period. What changed things the most? Why were the battles fought? In any era, minor things occur. It may be a change of styles, of the way people dress, how long or short they cut their hair. All of these things may reflect changes deep in the collective unconscious. These changes are often hard to measure. Some events, however, change the whole direction and flow of history. When Charles the First of England was executed, political reality, expressed as human freedom, moved in a new direction. When Napoleon was defeated at Waterloo, a century of peace followed. Arts and sciences flourished all over Europe and America, leading into what we now call our modern age. It is the purpose of history to determine what these key events are about. A sifting process is required: Some events have greater weight than others. The Zulu Wars in South Africa did not have as much influence on the world historical process as did Grant’s victories at Shiloh, at Vicksburg, and at Missionary Ridge. The re-invention of the printing press in Germany had far more influence on the human mind than did its invention in China a thousand years before. 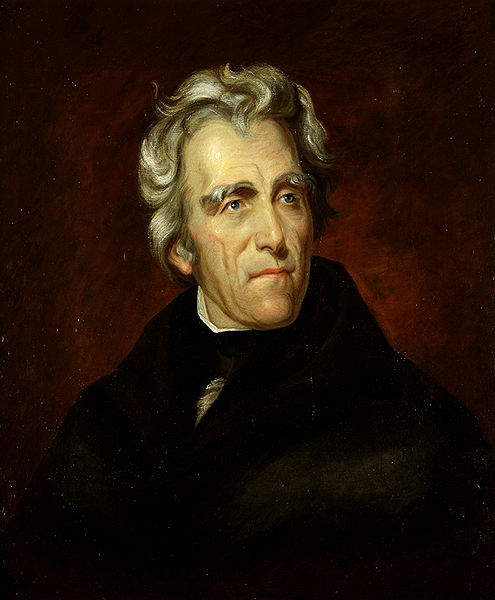 During the Administration of Andrew Jackson, several events occurred that were of extreme importance to the American people. One major event was Jackson’s battle with the Second Bank of the United States. This was where the federal government placed all its deposits, making this bank the most powerful financial institution in America. This dispute is not well understood, even today. The Second Bank of The United States was chartered in 1816 and headquartered in Philadelphia. Its president was a man named Nicholas Biddle, a financier, diplomat and editor, an upper class sort of person who represented the old establishment. The bank exerted vast financial power amidst a vibrant capitalist economy. Even though the economy was growing, it was still vulnerable. Such a powerful bank might have exerted too much control over this fledgling economy. Banks tend to like safe investments; they are not likely to invest in anything new or risky. If a bank has too much power over the cash flow in an economy, it can easily stifle investment, the lifeblood of economic growth. As a businessman for many years in Tennessee, Jackson was familiar with the advantages and disadvantages of large banks. Jackson’s chief purpose, upon entering the office of the Presidency, was to destroy the power and privileges of an entrenched and corrupt elite. In America, there were no more powerful people than those few oligarchs who controlled the flow of money and supply. Though Jackson was a rough hard-fighting general, known at times to be a bit crude and primitive, he had a mind that instantly grasped these basic issues. While his advisers counseled him to “go along” and allow the national bank to stay in existence, he decided to destroy it. The central bank was helping to strangle the economy; it was killing incentive; it was not assisting small business startups; it was attempting to preserve the status quo. All in all, it was exactly what he came in to root out. This was the achievement of his Pluto square Venus, one of the closest aspects in his chart. In 1832, he proposed to revoke its charter. Nicholas Biddle, the president of the bank, fought back. Biddle and those around him did everything they could to retain their power, and that was quite a lot. Suddenly, the flow of credit and cash—the lifeblood of a thriving economy–­was turned off. The nation plunged into a severe depression. Businesses closed, smaller banks folded. This depression was as much a burden on the population as was the Great Depression of the Nineteen Thirties. Everyone experienced hard times. 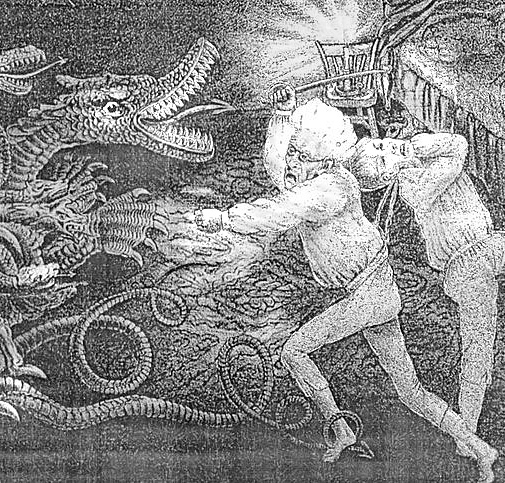 Cartoon of era depicting Jackson fighting the national bank. Jackson finally won that war. The central bank was dissolved by Congress, and the economy of America grew to be the most prosperous in human history. This prosperity might not have happened without the unwavering will of Andrew Jackson. Looking at this event astrologically, we find that Jackson’s natal Jupiter, which is retrograde and thus non-expansive and very powerful, sits right atop the U.S. Venus (1787 Constitutional chart). In a nation’s chart, Venus represents the flow of supply in its economy. In the Constitutional chart, it sits in the 8th house which rules all the shared resources of a nation. Part of his purpose as president was to bring balance and flow back to the economy, possibly through a struggle over resources (the 8th house). His natal Neptune and Mercury were exactly sextile and square the Declaration Venus. Straightening out banking was a major part of his presidency. Another event of major importance in Jackson’s term as President happened at the close of his second term. America has for over two centuries, offered millions of people hope—the freedom to pursue creative independence. But for some people there was never any hope. America was afflicted with the disease of slavery. 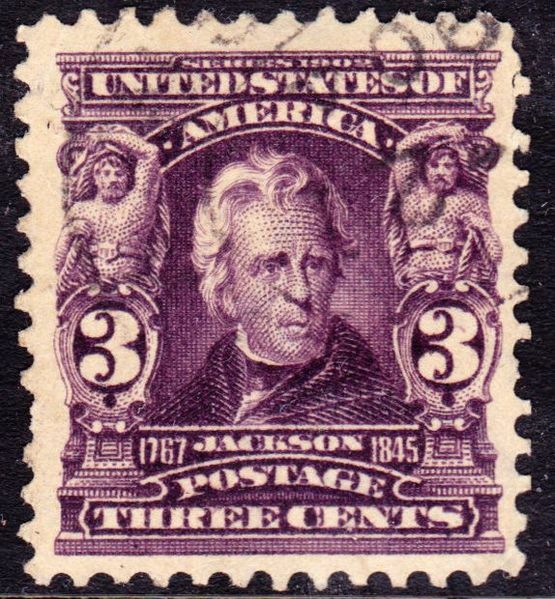 In his second term as president, Jackson had to deal with the problem that would, after twenty-three years, tear the nation apart in civil war. In 1837, Jackson’s last year in office, North Carolina desired to secede from the Union in order to remain a slave state. In the North, abolitionists were already talking about freeing the slaves. The general feeling in the South was, “Allow us to go off and do our own thing.” This feeling was so strong in North Carolina that the State legislature was preparing to meet and vote for succession. 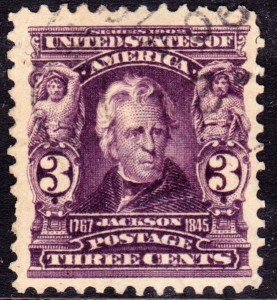 Jackson, like all U.S. presidents before and after him, placed a value on the Union that rose above the individual wish of any State to withdraw and go its own way. He himself owned slaves, but he believed and felt deeply that keeping the Union intact was an issue transcending the question of slavery. When Jackson learned of the events taking place in North Carolina, his immediate response was to raise an army. He gave orders for a general mobilization, and then he informed the authorities in North Carolina that he was ready to go to war. Jackson was enraged that these Southerners would threaten to secede. He employed all his authority as commander in chief to kill this movement, and kill it he did with an awesome Plutonian finality. The politicians in North Carolina, including Senator Calhoun who was at the head of the slavery movement and who Jackson openly threatened with a quick trial and the hangman’s noose, quickly backed down. Jackson saved the Union. The greatest general in America, simply by his reputation and immediately threatening war, cowered a rebellious State. Let’s examine his actions more closely. The movement to withdraw from the Union caused the Civil War some twenty years later. Even in the 1830′s in America, slavery was a blistering sore. What would have happened if there had been a war between the North and the South twenty-five years before it actually occurred? The chances are that the South would have won that war, as it almost did in the early months of the war some twenty-four years later. The American Civil War, when it did begin, April 12, 1861, was at its onset a rather even match. The North was not as industrially developed in 1837 as it was in 1861, and the West was not as settled. History might have proceeded in a different direction, if this war had been fought earlier. Jackson’s natal Jupiter, which falls on the 8th house Venus of the 1787 Constitutional chart, can also be used for war. The activity of war is governed by the planets Mars and Pluto, the sign Scorpio, and, if the chart is precisely accurate in its timing, the 8th house. Jackson was willing to go to war about what he believed (the Jupiter influence), which in this case was Union. Union or the sharing of all resources is one of the meanings of the 8th house. This theme shows itself in other ways. 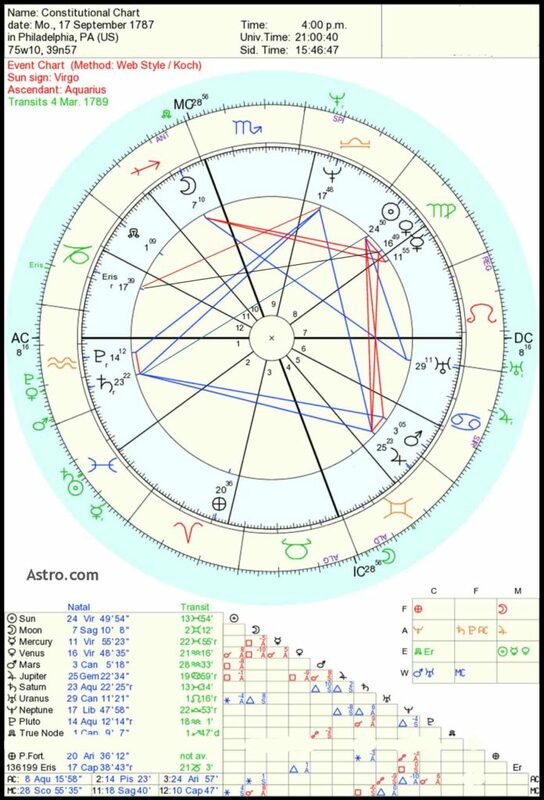 His natal Pluto was located at 11°40΄ Capricorn, and it opposed the U.S. Sun (1776 chart) by 1°39΄, so war, if necessary, came easily to this president, something everyone knew in America at that time; his Uranus was square the U.S. Pluto (1776 chart), another indicator. But the prime energy which he used to moderate and possibly change the flow of history was the Sun/Earth/Jupiter.